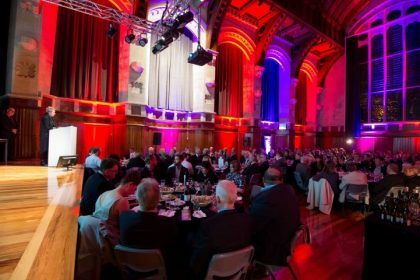 The Canterbury Heritage Awards recognise excellence in heritage retention and conservation, heritage tourism and heritage education within the public and private sector and promote the values of best practice heritage retention and conservation to the wider community. The inaugural Christchurch Heritage Awards were held in 2010. In 2012 the Awards represented a very especial event following the devastation of the 2011 earthquakes and focused on the wider region, becoming the Canterbury Heritage Awards. The city’s heritage has suffered a terrible blow with many of the region’s historic buildings severely damaged and in some cases completely destroyed. Whilst ensuring the safety of the people of Christchurch is the first priority it is important that we also focus on the repair and restoration of the city’s heritage buildings. As we begin the rebuild of Christchurch, the Heritage Awards Charitable Trust is pleased to announce the launch of the 2018 Canterbury Heritage Awards. Be part of this very special event as we continue to promote and celebrate heritage retention, conversation and education by recognising excellence through a quality and innovative awards programme. The 2018 Awards Ceremony will be held on 15 June at the Isaac Theatre Royal. For information on purchasing tickets, please email bindy@tdmevents.co.nz.